Before you start saving money for them, be sure you are talking to your children about money and the importance of saving. Many children grow up only hearing about financial struggles. 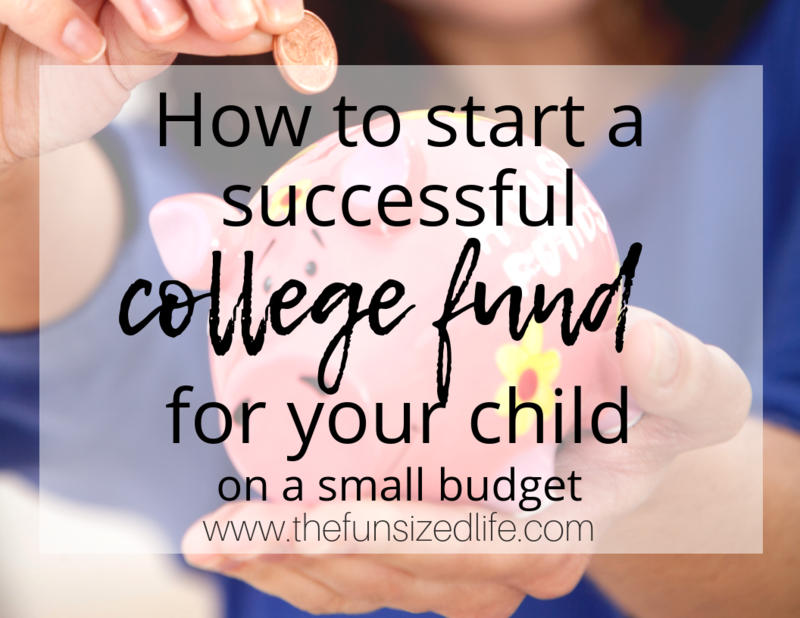 Things like, “We can’t afford that.” or “We don’t have any money.” Even though you may be financially struggling, it’s super important that you encourage your children to grow up with a healthy money mindset. Remind them of how putting money into savings accounts is beneficial for them. If they want to be “rich” they can only do that by not spending money. Let’s face it, starting anything earlier in life usually gives you an advantage later. Start exercising at a young age and you’re more likely to experience better physical fitness into your golden years. The same goes for building savings. Take a look at this Dave Ramsey chart that shows the importance of building savings at a young age. In this scenario, you’ll see two brother’s savings plans. The first brother, Ben, saved $2,000 for 8 years from the age of 19 to the age of 26. His brother Arthur then caught on to the benefits of saving and opened a savings account for himself. Arthur then began to save $2,000 a year. While Ben stopped saving, Arthur continued saving from the age of 27 to the age of 65. When they both hit retirement, Ben still had more money than Arthur even though Arthur had saved his money for 30 decades longer than his brother. This simple chart shows the importance of building savings at a young age. If you as a parent are able to help your child save money for only the first few years of life, the lasting effects can go all the way into their retirement if you are smart about how you do it. There is no doubt that contributing to a Savings Builder account with CIT Bank for your children is the simplest way to get them earning interest on their savings at a young age. And you only need $100 to open one! While most regular banks only offer around a .05% return on interest, CITbank’s Savings Builder offers a high return of 2.45% when you contribute $100 per month! When you are first starting to save for your children, a basic account with a lower interest rate will work just fine. When you are ready to open a high yield savings account, be sure you have at least $100 saved up before you begin the process. Get started with a CIT Bank high yield account online. Saving will look different depending on your child’s age. Here are a few ideas on how you can begin helping your children start to save no matter what their age. Take advantage of these early years before children start to really crave toys and presents. Invest money wisely. Save $100 per month for your child. Put this money into a Savings Builder Account and continue contributing until they are 18. This account gives you a 2.45% interest rate for only $100 per month! These are the years when your children can start being more hands-on with their money and their savings. Be sure to include them in it and let them know if you are helping them save as well. Here are some ideas on how they can start being more involved. Now are the years when children can start working to find their own ways to make money beyond chores and birthdays. Encouraging them to find ways to earn money through dog walking, lawn mowing or babysitting is a great way to instill a strong work ethic at a young age. No matter what, any amount of savings that you can do for your child is going to be beneficial. Make sure to take advantage of great accounts like the Savings Builder in order to get the best interest rate possible!